January 17, 2008, Anaheim,CA: Audio Innovate introduces the InnoFader, a replacement for industry standard VCA faders, with the advantages of Audio Innovate’s exclusive non-contact, variable capacitor technology. With an 8mm stem, sturdy, long body construction, and without a fader brush to wear out, the InnoFader is designed to last over 4 million cycles of use - with zero maintenance. The InnoFader uses variable capacitor technology which, unlike current optical technology, makes it 100% resistant to smoke, dust, and moisture that plague most DJ working environments. In addition, currently used magnetic faders only work in the same brand mixers, leaving DJs limited options for upgrading their mixer faders. 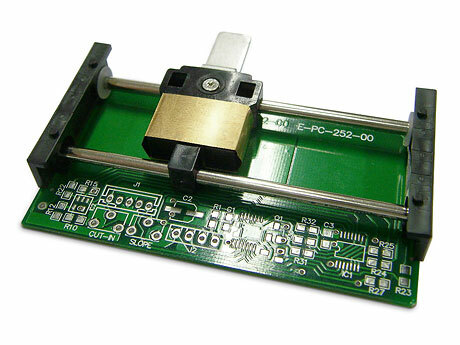 The InnoFader is designed to work with mixers from a variety of manufacturers. 1. A cut-in adjustment that allows DJs to fit the fader into a mixer with a smaller slot, while tweaking the dead space at both ends of the fader. 2. A curve adjustment which permits DJs to either match the original mixer fader curve, or create a custom curve for sharper or softer cut-in. Both adjustments are electronic, eliminating the need to tamper with sensitive mechanical fader parts. At the 2008 NAMM show, Audio Innovate will provide off-tool samples of the new, cutting-edge InnoFader. The InnoFader will be offered for sale both as an OEM fader, and as a retail replacement fader, in Q2 of 2008 with a projected retail price of US$79. To reserve one of the limited number of first samples of the InnoFader, contact Elliot Marx ASAP! Even the best conductive plastic (CP) or carbonized conductive plastic (CCP) contact faders will eventually bleed and require cleaning. Since the InnoFader is non-contact, no cleaning is required. Many DJs have experienced issues with bent or broken 4mm fader stems, thus the InnoFader adopts the emerging standard 8mm stem, ensuring almost no chance of breaking the stem. The long body type ensure a rigid construction which when combined with the heavy stem ensures a solid and long lasting crossfader. The InnoFader is designed to automatically compensate for circuit tolerances to the point that no calibration is required to adjust for the <0.5mm tolerance on fader cut-in position. Many manufacturers design their faders to work with custom outputs, and interfaces that make plug and play with 3rd party faders almost impossible. The InnoFader will work as a drop in replacement for analog faders. Why? 1. The pinout is a 4 pin industry standard Vcc, VCA out #1, VCA out #2, and ground. 2. The VCA out signals are from 50k digital potentiometers with 256 taps, and the output can short to Vcc or ground for a full on/off signal. 3. The entire fader power draw can be as low as 0.5mA so that circuits designed for low power 50k fader connections will work. Analog VCA faders have fixed A, B, or D-type curves. The InnoFader has an output curve adjustment to fit any of these configurations. This ensures that the InnoFader can work in any sized fader slot. Since the adjustment is electronic, the actual active fader area can be shortened, unlike others which have a fixed active fader area. This often requires adjusting the mixer to fit the fader, while the InnoFader can be electronically adjusted to fit the mixer. 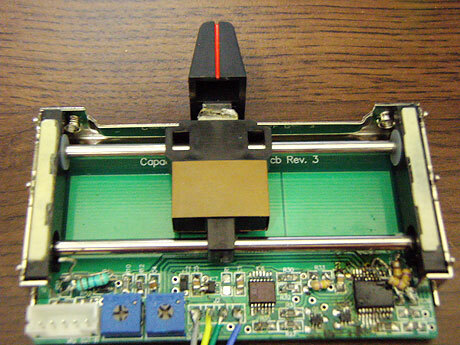 One main drawback of optical faders is that they stop working once there is internal dirt buildup. The InnoFader's electronic signals are unaffected by environmental factors experienced in harsh DJ environments. Unlike other contact fader technologies, only routine light maintenance is required to keep the rails lubricated and free running. Because of the closed construction of the long body, this is kept to an absolute minimum. At $79US, the InnoFader comes in at a very reasonable price for the quality and performance it offers. The InnoFader will be available as a 3rd party replacement fader from retailers for the majority of popular DJ mixers that utilise a standard long body fitment. It is also planned to offer the InnoFader to interested manufacturers as a standard component or as an option. Both will be available in Q2 of 2008. So that's a non-contact crossfader with an 8mm stem and onboard curve and cut-in control that fits a broad range of mixers... pretty hot stuff. Also kind of cool that controls are electronic rather than physical. Looking at the very early prototype picture above, It strikes me that if you feel comfortable wielding a soldering iron and a Dremel, you could mod your mixer case to accept the fader controls on the outside as well. Or maybe even drilling holes in the case so that you can poke a screwdriver in to adjust the Innofader without the need to open up your mixer. Just to supplement this, tension control is being planned for the final product. The screw in the fader body connects to the fader stem, grounding it and adjusting the tension at the same time. 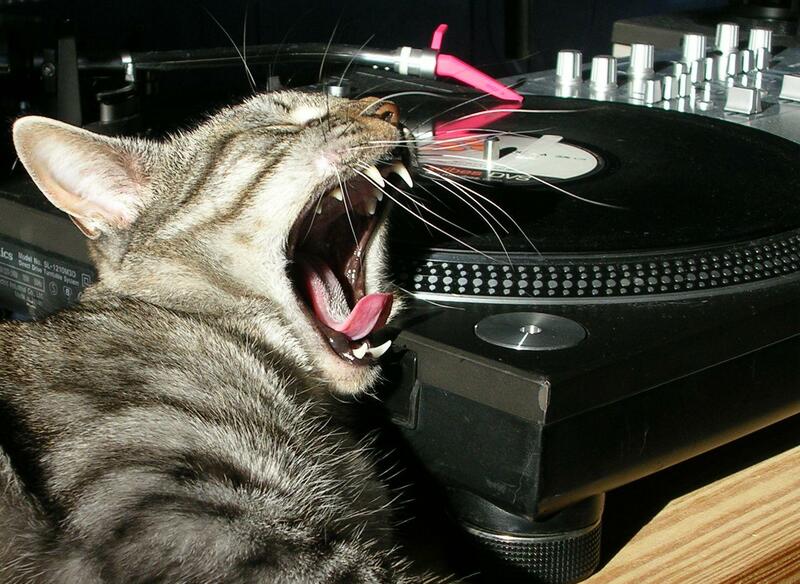 I've often pondered how important tension is as I've always gone for the loosest fader I can find. What do you guys think? Is tension control an indispensable feature or just another thing to go wrong? Like the verbiage says, Elliot will be inflicting himself on very suspecting people at NAMM 2008. After that it's a waiting game as the InnoFader will go through months of testing until AI are happy that the InnoFader is ready to be abused by DJs in the wild. une nouvelle sorte de "pro x fader" ?? Clair que ça a l'air bien, après faut voir si ça passe sur nos table. Cela m'as l'air d'etre un tres bon produit.. Par contre peut etre encore trop prototype a mon gout,on peut le constater aux nombreuse soudure des composants meme ils doivent encore peut etre affiner tout cela!! A noter la presence d'un chip qui doit etre gage de grande qualité et d'un point de coupure sympa,je pense que la prochaine evolution sur ce type de materiel serat certainement d'aller chercher un "grain" bien precis plus qu'un toucher un peu comme une guitare. We Don't Give a Funk..
il leur a été livré chez les gars de skratchworx et c'est eux meme qui ont fait les soudures. Des bonne soudures de porc Mais j'pense que ce truc va flinguer le pxf! donc c'est quoi c'est un cross magnetique adaptable ? Ca sort quand ce truc alors? Moi ça branche bien pour ma gemini. vive le "non-contact" : du scratch toute la nuit sans que mama gueule à chaque clic contre la butée !!! je pourrais presque me mettre à réver de pouvoir le tester en exclu avant sa sortie officielle (avant cet été ... j' ai compris y a pas longtemps que "Q2" = Quarter 2 = 2° trimestre) directement au producteur c' est + mieux !!! Enfin pour le moment, je viens de Lubrifier mon cross P&G....aaaaaahhhhhhhaaaahhh that fresh!!!!! thanks. this was useful info. can you tell me when will it be aviable (on-line store) ? As I said before, I would like you to be a tester for the Innofader. I am making several samples and I will get you one before the 14th. You can keep this sample. Nobody can take away M.Y Innofader! So il m' envoit ça avant de partir pour le muzik messe et je vous tiens au jus quand je l' ai reçu !!!!!!!!!!!!!! !